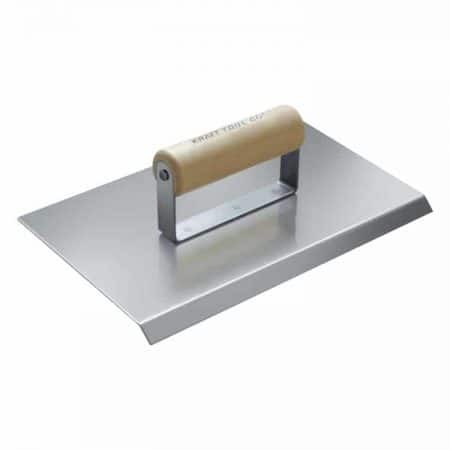 A chamfer edge on a concrete is a sloped or angled corner made for improving the aesthetical appearance, safety and easy removal of formwork of concrete. The formation of a sharp nice corner is practically difficult and the concrete at corners is easily chipped, therefore the provision of chamfer edge could protect the corner from chipping. This method of chamfering of concrete edges is done prior to the laying of concrete. The formwork build for the laying of concrete is fixed with the chamfer strip at the edge. Depending on the requirement of chamfered edge size, chamfer strips are available in the sizes of 1/2, 3/4 and 1 inches. It is made of either rubber or wood. Fig 1: Different type of edging strips. 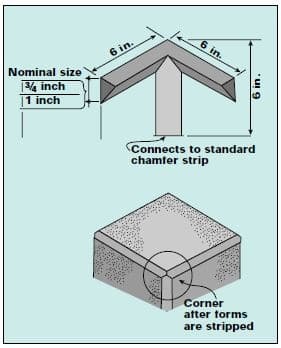 Fig 2: Edging strip connection for corners. These chamfered strips are installed and concrete is laid through conventional methods. Compaction of concrete must be ensured for smooth and even finish. After 24 hrs, formwork is removed slowly. No further interventions of finishing are required in this method. 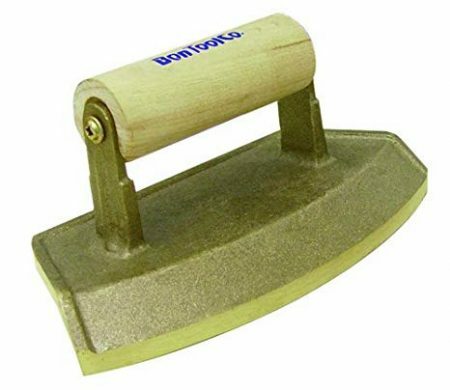 In this method, chamfer edging tools are used for making chamfered edges. Unlike the above method, this is done after the concrete has been placed and the surface water has dried off(20 to 30 mins after placing of conventional concrete). With the help of chamfer tools, the edges of the concrete are striked off. Depending on the type of chamfered tool used, same type of chamfer design and size is obtained on the concrete edge. It requires skilled labour to make this as even and smooth edge. 1. Allow the concrete to cure until any water on the surface dissipates. Typically, this takes about 20 to 30 minutes after the concrete is poured and troweled with a wooden float. 2. Start by chamfering the edges of the porch with the edging tool to embed any gravel below the finished surface. Grip the handle of the tool and insert the lower edge into the seam between the edge of the concrete and the form. Use the inner face of the form as a guide and work the tool forward and backward, using long strokes. 3. Repeat the above step using the edging tool. This time, use light pressure on the tool and create a uniform, chamfered edge. Allow the concrete to cure for two hours or until a light swipe with the steel trowel does not affect the surface’s finish. 4. Pull the nails out of the form stakes, using the claw end of a hammer. Pull up the stakes. Tap one end of the form several times with the hammer to release it from the edge of the concrete porch. Slide the form one way and lift it up at the same time to remove it without damaging the face or edge of the porch. 5. Put fresh water in a 5-gallon bucket. Dip a rubber float used for finishing plaster into the water. Use small, radius strokes with the float to finish the face of the porch where the form was removed. Start each stroke at the upper, chamfered edge and work downward. Dip the float into the water frequently for the best results. Tooling Require less tools. Fillets require specific size tools to produce different fillet sizes. Coatings Due to the sharpness of chamfer corners, paint or protective coatings will draw back from the edge. This means that the coating near the edges will wear more quickly. For a smooth, even application of the paint or coating, a fillet is a better option.